We really need to ask for everyone's help...one of our charity ponies has been stolen. 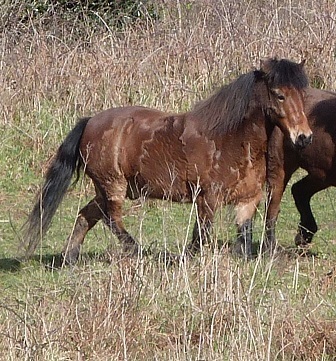 Jeremy the pony has disappeared without trace from the Morwenstow/Welcombe area on the Cornwall/Devon border. He was last seen on the evening of Saturday 27th March 2017.
over again and there is absolutely no sign of him anywhere. Please help us to find Jeremy - he is an Exmoor X, bay gelding, approx. 12hh. There is a "Help Find Jeremy" page on Facebook dedicated to finding him.